If you could live anywhere in the world, where would that be? Though I love my home and city, the beach calls to me, and if the other logistics ever work out I want to live within site of the ocean. 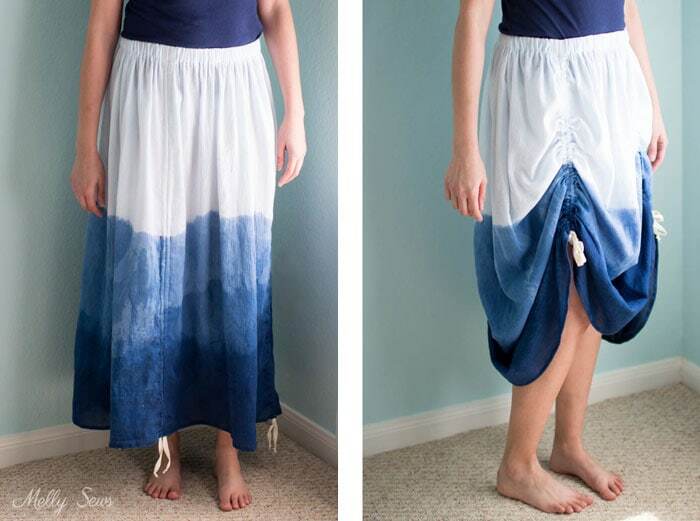 But in the meantime, this skirt feels like living at the beach, complete with ties to adjust the length for wave wading. 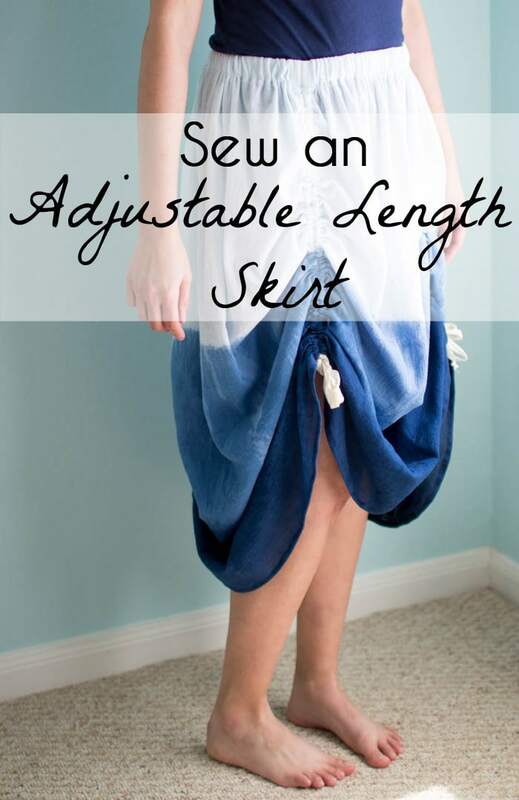 Want to know how to make your own adjustable length skirt? Read on. 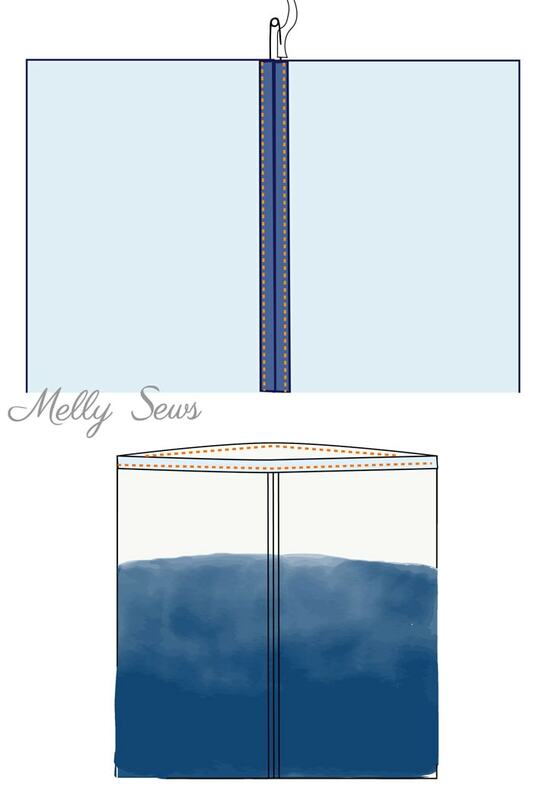 This is actually a pretty easy sew, adapted from my Simple Skirt Tutorial and my Ruched Dress. I’ve got a quick video tutorial for you below (and you can also watch it on YouTube here if the video here doesn’t load for some reason) and the more detailed tutorial below the video. 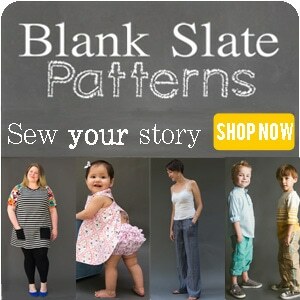 To start, use the chart in the Simple Skirt post to determine your skirt total length and width. To that length, add 2 1/2 inches so you’ll have enough for the hem and the waist casing. To figure out how wide each of the 4 panels you’ll cut for this project should be, divide the total width of the skirt by 4, then add 2 inches to that number. So for example, if my total skirt width is going to be 60 inches, I would divide that by 4 and get 15 inches, then I would add 2 inches to that, so each panel I cut would be 17 inches wide. Cut your 4 fabric panels. Next, you need to hem each panel. I know this is normally the last step, but trust me, due to the casings you need to do it first for this skirt. 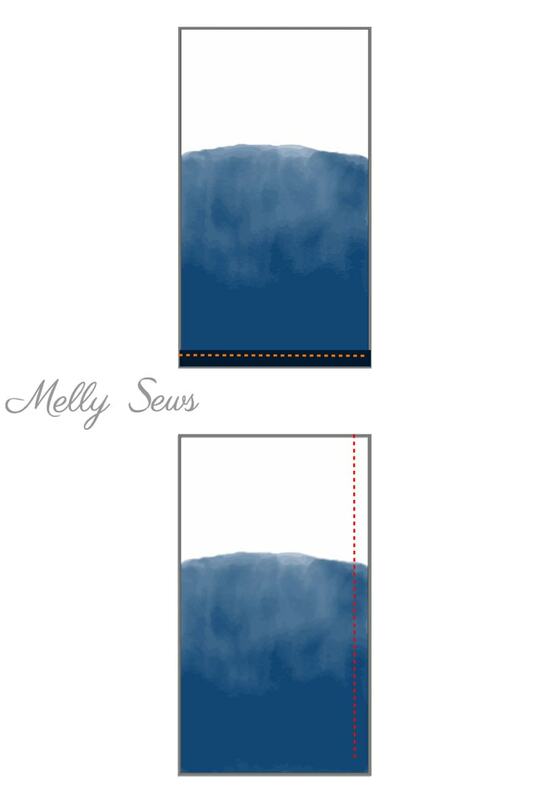 Turn the bottom edge 1/2 inch to the wrong side twice and hem. Next, take two rectangles of fabric and place them right sides together. Then sew down the side seams using a 1 inch seam allowance – I know that seems like a lot, but trust me, you’ll use it. Next, press the seam allowances open. Fold the raw edge of each seam allowance under and press. Stitch along the fold to make a casing that you’re going to thread a tie through. You’ll have two of these casings on each side of the skirt. 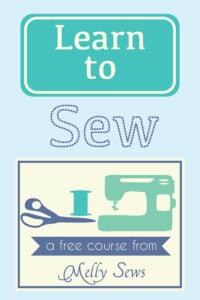 Use a safety pin or bodkin (affiliate link) and thread ribbon or twill tape through each of the casings. You want the ribbon to be about 2 inches longer than the skirt, with the extra hanging out at the hem. Finish the waist casing as described in the Simple Skirt Tutorial and thread your elastic through it. Catch the waist ends of the ribbons in the casing stitching to secure them. To adjust the skirt, simple hold the ties and push the skirt up along the casings, then re-tie the ties to secure it at your chosen length. 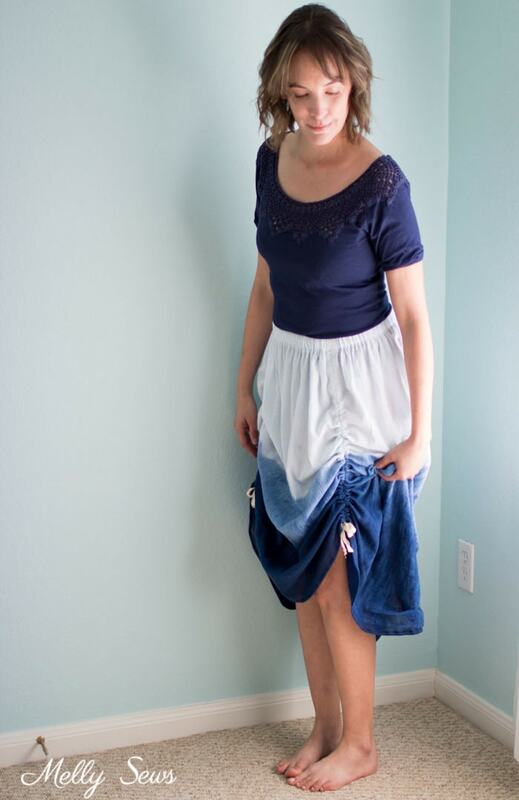 A note about the fabric I used for my skirt – this is white cotton gauze that I dip dyed in indigo. I used this indigo kit (affiliate link) to make my indigo vat and I also did a bunch of shibori dyeing that I’ll show in a later post. The top of the blue band spent about a minute in the dye, the dark part at the bottom probably spent a total of 20 minutes in the dye over several dips. 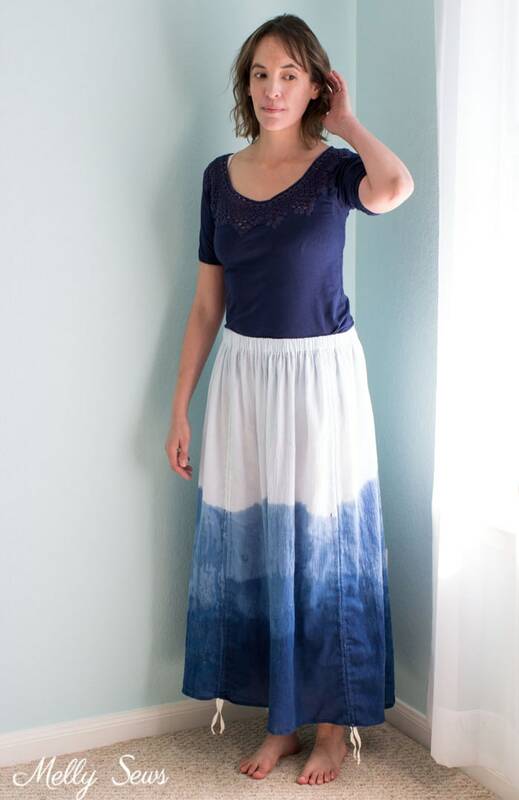 Love what you did with that beautiful hand dyed fabric! Wonderful tutorial! I’m making my 3-year-old a maxi dress but she’s growing so fast that I decided to make it extra long and add a shirred panel to the back of the bodice so she can wear it for a while! I had this adjustable ruching in my mind for the skirt length adjustment but no idea how to do it! Thanks so much!